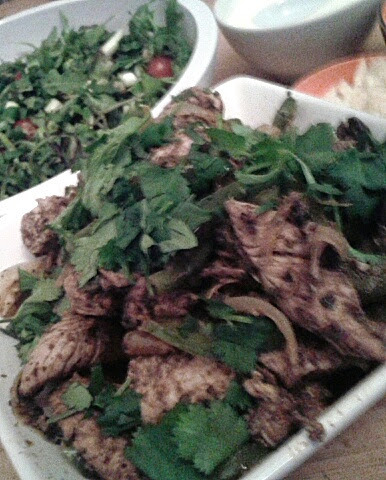 A fabulous Mexican-themed evening with friends. Doritos with homemade salsa, gualamole, and hummus (not homemade). Salsa recipe: this is a recipe my sister gave me years ago and I always use it - it never fails. A simple one, yes, but it works. You can make it as spicy - or not - as you wish. Blitz for a smoother salsa if you wish. Guacamole recipe: this recipe is taken from my fab'n'easy Bite-sized Mexican book. Again, always a winner. Cut the avocados in half and remove the pits (save them for later to stop the guacamole going brown - it really works!). Scoop out the flesh into a bowl or mixer and add the lime juice. Add the garlic, spring onions and chillies and season to taste. Blitz if you like a smooth guacamole, but mashing is just fine. Replace the pit and cover and refrigerate for about an hour before use. 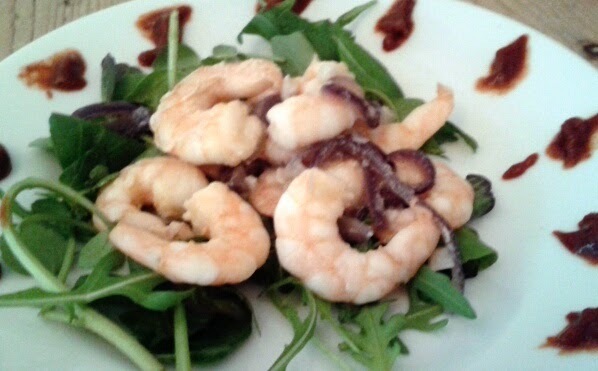 Shrimps al mojo de ajo with arbol chilli sauce. 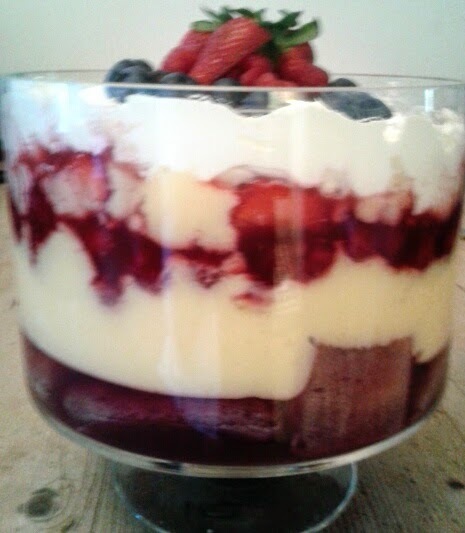 I googled the recipe and collated the best bits to get my own version. Fresh raw prawns are best, as my non-prawn-eating friend will testify - she ate them all! Heat the butter over a medium heat in a frying pan. Once melted, add the garlic and onion and saute for 2-3 minutes. Add the prawns and season. Cover the pan and cook until the prawns turn pink. Stir gently and turn off the heat. Serve the prawns, drizzled with the butter it was cooked in, and scattered with fresh coriander. Dot the chilli sauce around the edge of the plate. 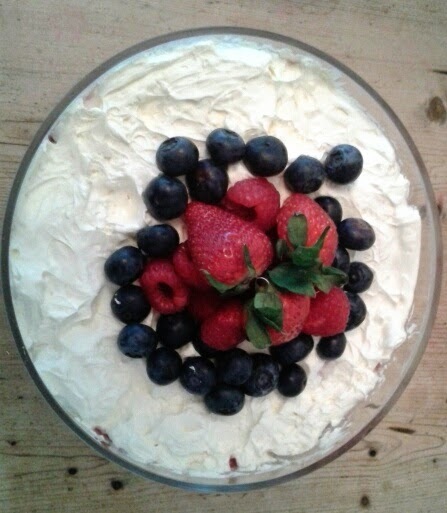 Served with homemade salsa, guacamole and soured cream. Again, this recipe is one my sister gave me years ago. It almost never fails. This time, for some reason, it didn't LOOK right! It tasted great, but there was something about the look of it. Perhaps the margaritas were taking effect at this point of the evening... Excuse the photo (it did get wrapped in the tortillas, honest!). In a bowl, combine the chicken strips, garlic, cumin, chilli, paprika, oregano, orange zest and juice, lemon juice, 1 tbsp oil and 3 tbsp coriander. Mix well to coat the chicken and leave to marinade for at least 15 minutes, longer if you have time. Fry the peppers and onions in the frying pan for 8-10 minutes, then set aside. Stir fry the chicken in its marinade, until cooked 6-8 minutes. Mix the peppers back in, sprinkle with fresh coriander, then serve in a skillet or large bowl, with the heated tortillas, soured cream, guacamole and salsa. My friend brought dessert. She claims to be not much of a cook/baker, but she's awesome at design! 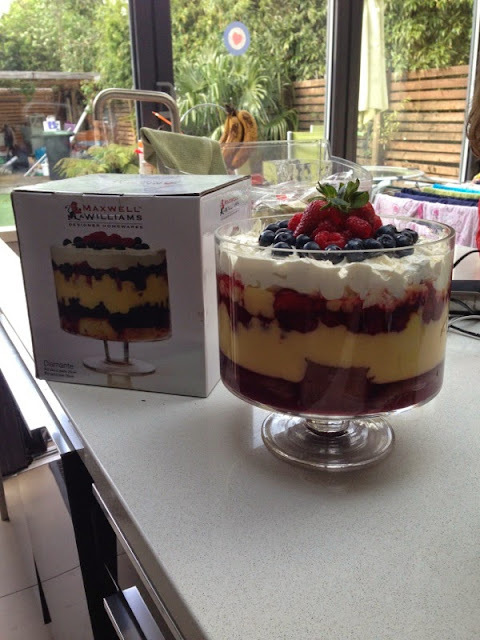 Look how beautifully she prepared it, to match, no, to out-do, the food styled trifle on the box!